I really wanted to make Rice pudding for Thanksgiving. Never got around to it (I did get my Sweet Potato Pie done though). Then I thought I’d make rice pudding for Christmas. Never happened. I thought for sure I would get it done in time to ring in the New Year. And yet, somehow, I couldn’t get it made. The other day, Ellie was playing in her own play kitchen. She had been playing independently for quite some time and I realized, now is my chance. I collected my ingredients and although we did not have real Vanilla bean’s, which this recipe called for, I substituted Vanilla extract instead and voila, we had rice pudding on a Tuesday. And what’s more special than that. Place the rice, milk, sugar, vanilla, spices and salt into a medium saucepan over high heat and bring to a boil. Reduce heat to low, cover and cook, stirring occasionally for 25 to 30 minutes or until rice is tender. 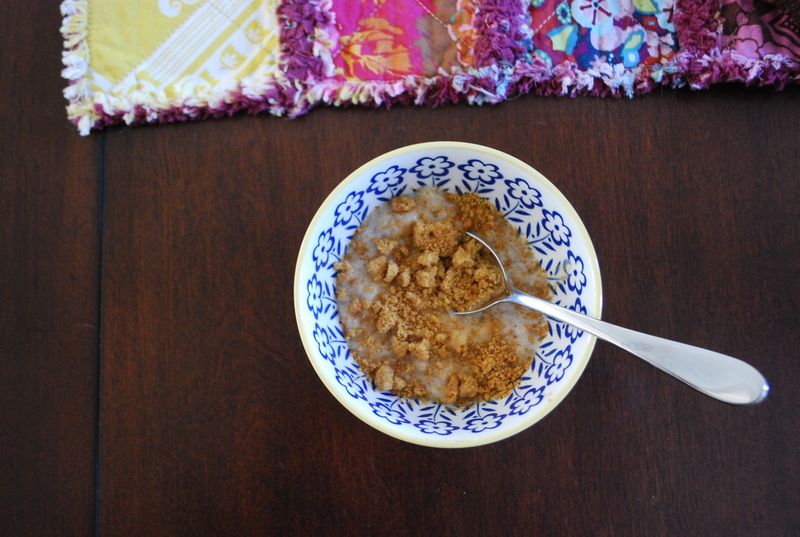 Drizzle maple syrup over the cooked pudding and top with ginger snap cookie crumbles to serve. Serve warm or cool. 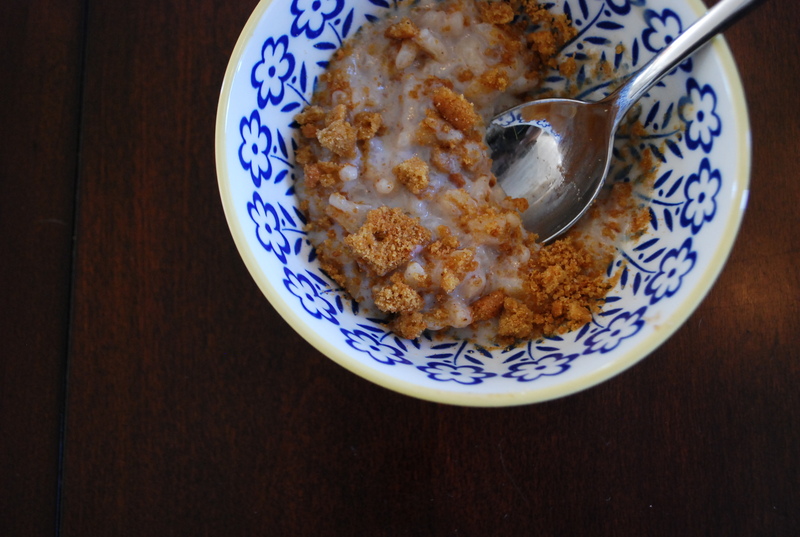 This entry was posted in making and tagged A New year treat, cooking, maple ginger rice pudding. Bookmark the permalink. Happy you finally found the chance to make it! Do you have a recipe for rice pudding I should try?